When it comes to design, Honeywell did a great job with the HCE200W. It definitely has an appearance that’s unique to indoor heaters. Yes, you’ll have a second look. It reminds us of Stradler Form’s Otto fan. The Otto fan, however, did not sit well among previous buyers. Does the Honeywell HCE200W (UberHeat) have the same feedback? Is it any good? Find out in this reivew. 2 Consumer Feedback: Is it Any Good? Overall, the Honeywell HCE200W is a basic or personal heater. It doesn’t have advanced features but it has the basic functions that you need. It does NOT have a remote control, and it does not come with a touch-control panel. 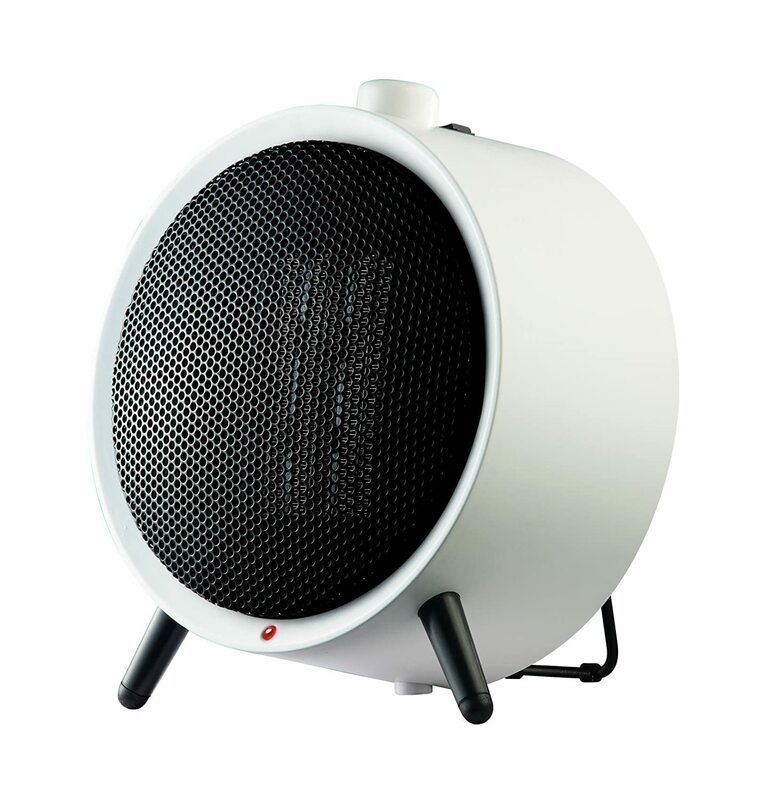 Here’s a quick list of this ceramic heater’s top features. – Safety Features. The UberHeat comes with at least 3 safety features. One, it has a tip-over switch at the bottom, which automatically shuts off this heater when it gets accidentally tipped over. Two, there’s an overheat protection. Three, the white plastic parts of this unit stays cool. – Controls. It comes with a knob to adjust the thermostat. It also has a switch to choose between low and high heat settings. – Useful Parts. It has a collapsible stand on the back for stability. There’s no handle, but it comes with a small cavity where you can put your hand in if you want to transfer it. It also has a power cord that measures about 6 feet. Also Read: Lasko Model 5160 Review – Should You Buy One? Consumer Feedback: Is it Any Good? First, take note that the Honeywell HCE200W is advertised as a “compact design ideal for personal space and small room use.” Here’s a summary of what previous buyers have said about this unit. – Heating Performance. As a personal heater, it does the job well. You can put it under your desk to keep your feet warm, or you can put it on your desk to act as a supplemental heating device. It can heat a small room, but according to this man, it can take 20 to 30 minutes to significantly raise the temperature of the room. – Noise. In this video, you can tell that the UberHeat makes some noise during operation. It’s because of its fan. – Size. It’s compact, and it has a small footprint, so finding a location is not a problem. Storage is also a non-issue. 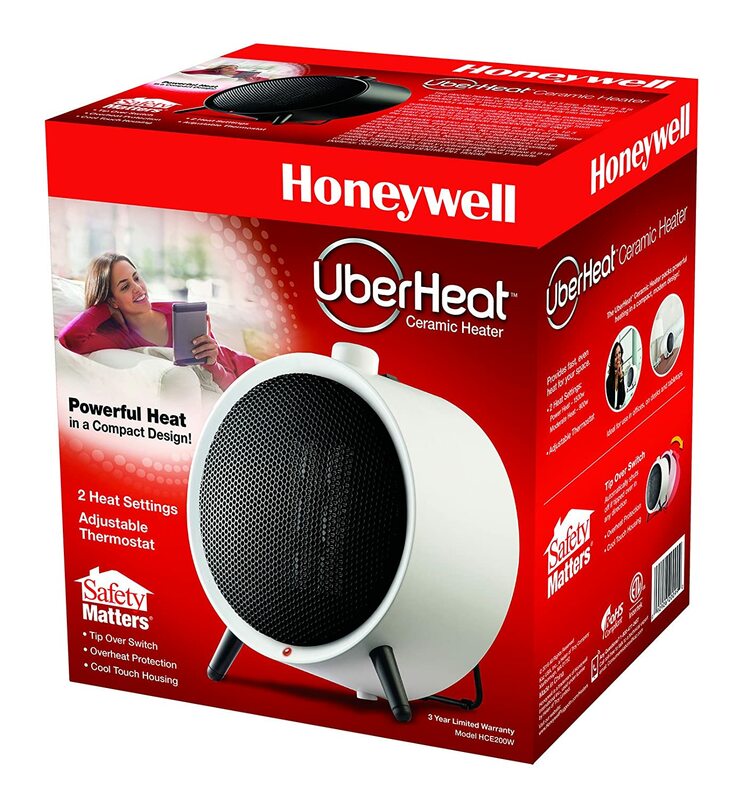 The Honeywell HCE200W (UberHeat) is not a substitute for bigger heaters with more advanced features. However, if you’re looking for a supplement heating device that has a uniquely beautiful appearance, then this heater is for you. Furthermore, if there’s no need to warm the whole house with your central heating system, such as you’d like to spend most of your day in one room, then the UberHeat is for you. But note, you may find this noisy. Honeywell HZ-445R Review, A Hit or A Miss? Lasko 5588 Heater Review – Is It Any Good? Lasko 5160 vs 5165: Spot the Difference! Lasko 5790 Review – How Did It Fare Among Consumers? Honeywell HCE322V Review: Is It Any Good? Lasko Model 5160 Review – Should You Buy One? 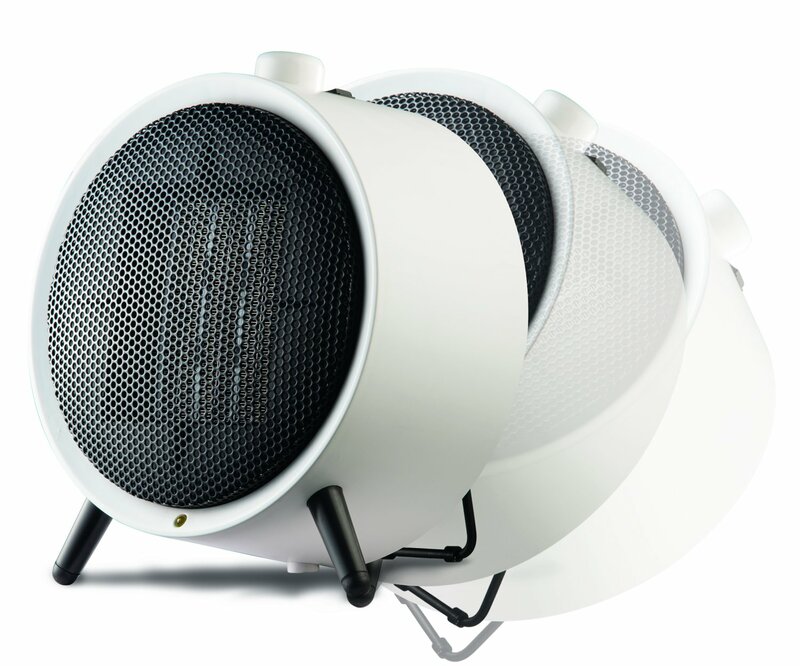 Indoor Space Heater Reviews is a participant in the Amazon Services LLC Associates Program, an affiliate advertising program designed to provide a means for sites to earn advertising fees by advertising and linking to Amazon.com. Also, certain content that appears on this site comes from Amazon Services LLC. This content is provided "as is" and is subject to change or removal at any time.